My friend Scott Huffines' mom, Jackie Nickel, passed away on Friday, August 17, 2007 at the age of 65 after a 6-year battle with cancer. All of us expect death as part of the birth-school-work-death cycle, but it always comes too soon. Jackie's was too soon. Jackie was the coolest friend's mom I knew. She worked, for one thing, which was unlike other moms. And she worked hard, leaving behind several books and a writing leacy at the Essex Avenue paper. What I liked best about her was that she was truly interesting. You didn't just make awkward, polite small talk with her, as you did with other parents. You had real conversations, because she was fun to talk to. She knew everything about Essex and most things about Baltimore and Maryland. At parties at Scott's, I didn't just say Hi and Bye, but would seek her out to talk about the Essex Cube or Precious the Skateboarding Dog or the proposed Essex Raceway or the inside dirt of local politicians. She was on top of everything and she was sharp. Just like a reporter. Just like a writer. And Jackie treated everybody the same, regardless of who they were or what their title was. 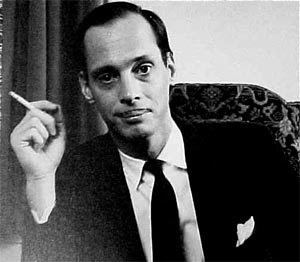 Whether she was talking to John Waters (as pictured below) or a local councilman, a next door neighbor or one of Scott's weirdo friends (and there were many! ), you were just people to Jackie. I recall Scott telling me how happy Jackie was when, after yet another chemo treatment at the hospital and yet another room change, she was allowed to use her laptop. She hated being cut off from it. She wanted to write. I love that image of her in the hospital still trying to produce output, to generate ideas. That's the image I'll recall of Mary J. Nickel. Baltimore County’s Office of Community Conservation supplemented the book’s printing and design costs with a grant of $2,000. According to the Essex-Middle-White Marsh Chamber of Commerce, copies of the book will be included as a welcoming gift to new residents of WaterView, compliments of Mark Building Co. Memories of 'Old' Middle River is carried by the Enoch Pratt Free Library and the Baltimore County Public Library and originally was available these select stores: Martin Aviation Museum on Wilson Point Rd., Squirrel's Nest Antiques at Eastern Blvd. and Mace Ave., Wallace Engine Co., 1801 Eastern Blvd., Harrison Beauty Salon, Harrison Blvd., Fantasy Glass, Pottery Farm Station, Back River Neck Rd., and at Greetings and Readings. It's also probably available at the Motion Picture Exhibition in Baltimore. Headley wrote: "Great job on the Middle River book! That's the way books about neighborhoods should be." That's high praise coming from Robert Headley! On April 16, 2007, Arcadia Publishing published Jackie's defining work, Essex as part of its Images of America series. "Advertised in a 1909 sales brochure as “The Rising Suburb of the East,” Essex, Maryland, has seen its fate and fortune rise and fall and rise again. The town enjoyed its early reputation as a haven for city dwellers with picnic groves, hunting and fishing clubs, dance halls, and waterfront amusement parks. The boom continued with new jobs and prosperity until the 1950s, when a fire destroyed much of the town’s main street. Economic decay set in as a result of the loss of industry and an influx of low-income housing. Several attempts at redevelopment and legislation failed, resulting in the residents’ distrust of government intervention. Finally a county-backed Renaissance project was established in 2002, bringing Essex a new epithet: “The Hidden Gem of Baltimore County." 4. Essex By Jackie Nickel ($19.99, The Ivy Bookshop, 6080 Falls Road): "Finally, a real bookshop in Baltimore! Here's an amazing book about Essex. It has great pictures of the old movie theaters, like the Elektra, pictures of the Thunderbird Drive-In, my favorite hangout for 1950s juvenile delinquents." Mary Jacqueline "Jackie" Nickel, an eastern Baltimore County activist, author and former newspaper editor, died Friday of cancer at Manor Care Health Services in Rossville. The lifelong Essex resident was 65. In the 1990s, she had her name legally changed to Nickel, which had been the last name of her maternal grandfather, John H. "Hon" Nickel, who had owned the Gayety Theater, the famous East Baltimore Street burlesque house. "She taught at Back River Elementary School and Our Lady of Mount Carmel parochial school," said a son, Mike Nickel of Catonsville. In the 1970s, Ms. Nickel left teaching and went to work as a reporter for The Avenue News, an Essex weekly, and later was promoted to editor. She left the paper in the mid-1990s and returned in 2000 when she began writing "Around the Avenue," a weekly column on the editorial page. "She was an Essex icon and an advocate for the community, environment and history," said Jean A. Flanagan, who is the newspaper's current managing editor, and who was given her first newspaper job there by Ms. Nickel. "She wanted to preserve both the environment and our local history. She also wanted people in Essex to take pride in where they came from and for new people moving to the community to know where that pride came from," Ms. Flanagan said. "Her column was down-to-earth and she would say things that people only thought. She went after the bad guys and promoted the good guys," she said. "She'd help people who called with complaints about barking dogs or kids running in the street. She'd tell them who to call." She added: "Her shoes will be very hard to fill." Carole L. Ledley, a longtime friend, recalled Ms. Nickel's work in land preservation battles. "She did pretty much the entire Back River Neck Peninsula and pretty much devoted the last 25 years of her life to land preservation," she said. "She was particularly interested in rural legacy and was instrumental in reducing the number of houses on Turkey Point, where I live." Mrs. Ledley praised her as being "so knowledgeable" and a person who "wasn't afraid to stand up" for what she thought was right. "I don't know what we're going to do now. We've just lost the backbone of our community," she said. In 2002, Ms. Nickel published Memories of 'Old' Middle River: A Loving Look Back at the Town and its People. The photo-history chronicled the community that in the early 1900s, "before marketing consultants, marina studies and development incentives," she wrote, was a waterfront destination for Baltimoreans fleeing the heat of the city for the cool waters of Middle River. In a closing essay, she asked, how could World War II-era Middle River with its many extant buildings that were designed by such well-known architects as Albert Kahn and Skidmore, Owings and Merrill, relate to "dramatic events in the history of our country." "The solution involves carefully identifying the most basic elements of wartime Middle River design. The curving streets and cul-de-sacs are still all in place. Many of the houses still have low gables, paired or picture windows, small porches and other original features," she wrote. 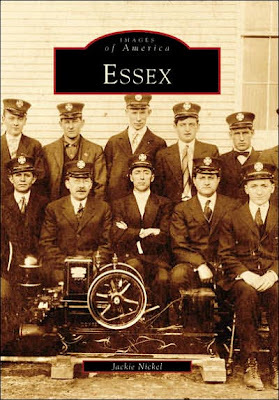 This year, Arcadia Publishing published Essex, as part of its "Images of America" series. The book contains nearly 200 photographs, many from a personal collection she spent years acquiring, and others from local residents and historical societies. "I've never in my life felt so appreciated for anything I've ever done," she told The Sun, speaking of an April book signing, when at least a 100 people arrived at the Essex-Middle River Heritage Society. "People standing in line meet each other, and, if they have any connection to Essex, they find a common thread of conversation. It's brought a tremendous sense of family," she said. "Essex is going to miss her. She was an obsessive booster for Essex when no one else was," filmmaker John Waters said yesterday. "I loved the Essex book. In fact, it's one of my favorite books of the year." In response to a "Five Things I Have to Have Now" column published in The Sun in May, Mr. Waters said, "Here's an amazing book on Essex. It has great pictures of the old movie theaters, like the Elektra, pictures of the Thunderbird Drive-In, my favorite hangout for 1950s juvenile delinquents." "She was so devoted to and selfless in her love to the people of Essex and preserving the Essex legacy - its land and its people," her son said. "She cherished her readers so much. I cannot begin to imagine how strongly my mother's absence from Essex and Baltimore County's east side will be felt." Essex, Md. (Map, News) - The Essex activists needed 24,000 signatures to save the homes of 300 Essex residents. The task seemed daunting. Elected officials on the state, local and federal level often requested Jackie's counsel to gauge the climate in the community. She was a lightning rod for questions, concerns and opinions from the community. She attended every community input meeting she could, and often instigated them. In 1995, she left The Avenue News to take the Editor's position at The Essex Times. She remained there until 2000, when she returned to The Avenue News as a freelance reporter and columnist. Her weekly column, Around The Avenue, brought her both applause and distain. 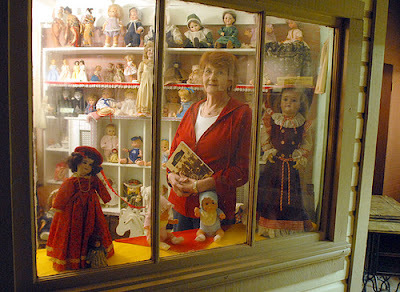 In recent years, Jackie's passion was the preservation of local history. Researching old newspaper reports, conducting hundreds of oral history interviews and copying thousands of historical photographs, Jackie contributed to or created three publications. In 1999, the 90th Anniversary of Essex, Jackie contributed extensively to a publication called "A History of Essex." The Essex Revitalization and Community Corporation published the book. In the preface, Jackie wrote, "In history there is pride and in Essex there is much history and so much of which to be proud." 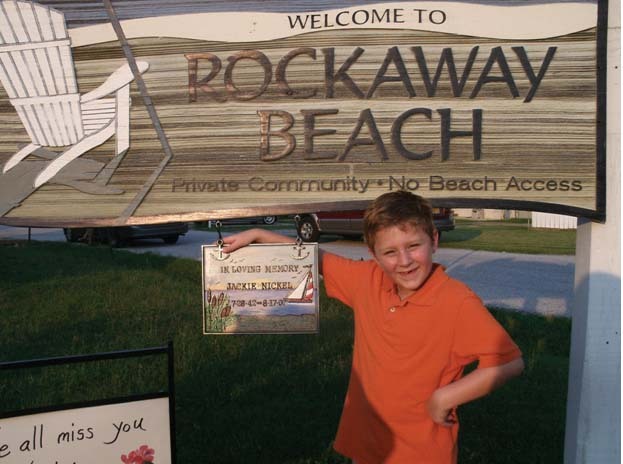 In 2002, Jackie self-published "The History Of Middle River: A loving look back at the town and it's people." She sold the books for $5 each, often donating the funds to local organizations serving the less fortunate. In the acknowledgements, she wrote, "For many years I waited for others to record our history. Just a few community-focused booklets grace our local library shelves and larger volumes simply skim the surface. "The prospect of revitalizing Eastern Baltimore County sparked me into action - revitalization, after all, means new life, not wiping something out and starting over. Our proud older citizens want to save some of the past yet be part of the new plan." In 2006, she completed "Images of America - Essex" an Arcadia Publication, 130-page chronicle of more than 200 photographs and maps. It tells the story of the place, the community and the people that are Essex. It was her proudest accomplishment. 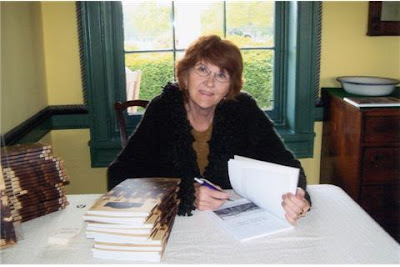 She had begun a whirlwind of book-signings and history talks. Born and raised in Essex, she wanted her neighbors to feel the pride she felt about the origins of our community. People brought her more stories and more photographs. A display of unknown photographs usually accompanied her book signings. "Do you remember who that is?" she would ask anyone who stopped to look. Her intention was to publish another book. Jackie's first priority and a constant source of pride were her three children. Her oldest son Scott Huffines, and his fiancé Kristen, lived nearby. Her middle son, John Huffines and his wife, Carolyn were very near and dear to her heart. Jackie's youngest son, Michael Nickel and his wife, Christina were often her traveling companions, most recently visiting the mountains of West Virginia and the Jersey shore. 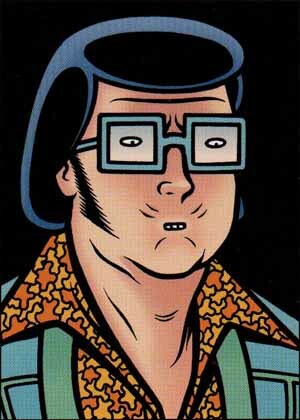 Jackie's grandson, Thomas, was a constant source of pleasure for her. Ever mindful of the impact her mother had on her three children, Jackie was determined to be the best "Mom-Mom" she could be to Thomas. She was prepared, at the drop of a hat, to accept an invitation to baby-sit and looked forward to holiday gatherings with a special zeal. Thanks to Mike Nickle and Scott Huffines for posting these pics. The tributes and honors continue to amass for Jackie. This year Kevin McDonough, a student at Our Lady of Mount Carmel Elementary School, was selected as one of only 28winners in Fox 45's “Champions of Courage” essay contest for an essay honoring Jackie Nickel. His essay was selected from more than 5,000 entries from 87 middle and high schools in Maryland. See full story: "Mt. Carmel student selected as Fox 45 'Champions of Courage' essay winner." The American Cancer Society's signature event is its annual Relay for Life fundraising event, which "enables people to celebrate those celebrate those who have survived cancer, remember those we’ve lost, and fight back against a disease that touches too many lives." The 2008 Relay For Life of Essex, which is being held May 9-10 at the CCBC-Essex Campus, is "dedicated to Jackie Nickel, who lost her battle with cancer last year." The American Cancer Society even created a Jackie Nickel Honoree Page to pay homage to "this great woman and how she impacted the Essex community." Each year, the Relay For Life of Essex honors someone in the community that has recently battled cancer. The honoree may be a survivor or may be someone who lost their battle too soon. The 2008 honoree is Ms. Jackie Nickel, longtime Essex resident, author and activist. We would like to take this time to celebrate Ms. Nickel's life and acknowledge her courage in her fight against cancer. To read the full tribute, see the "Jackie Nickel Honoree Page." It's a great write-up and yet another testimonial to the life of Jackie, who continues to live on through the memories of her loved ones and to fight for just causes like the ACS' Relay for Life, even from beyond the grave via her legacy. This just in from Scott Huffines - another Jackie Nickel plaque update from the Avenue News. Jackie's family, including her beloved grandson Thomas Nickel along with his parents Michael and Christina Nickel were in attendance along with Jackie’s oldest son, Scott Huffines and his partner, Kristen. Thomas did the honors of hanging the plaque onto the Rockaway Beach sign at the corner of Turkey Point Road and Rockaway Beach Road. It was noted that Kim Maigetter painted the plaque and her husband Brennan installed the hardware necessary to hang it. Wow, I was totally unaware of how terrific Scott's mother was! What a huge loss for not only those close to her and Essex, but Baltimore in general. Thanks for writing about her. Tom, you did a hell of a job praising a hell of a lady. You really nailed it when you said that she was really interesting. Conversations weren't just a mere function of trying to be nice to a friends mother. She was really cool. Scott is one of the first friends that I have been close to that has gone through the death of a parent. I have known other people that had a parent die but they weren't either close enough or mature enough for me to see how hard it is to go through such a situation. I hope that I can handle this type of situation in my own life as well as Scott is dealing with it all. Tom, you said everything I've been thinking, but better than I ever could have. Jackie was a true friend to me and all of Scott's friends. When I went to their house, I always went off to find Jackie first thing so we could talk. And I'll never forget that on 9/11, when I couldn't get in touch with my family and was freaking out, I picked up the phone and called Jackie. She was the next best thing to my own mom during a crisis. Thank you for this tribute to a wonderful, inspiring, fun, cool, beautiful woman. I know she'd love this! "JACKIE NICKEL, THIS PROJECT WAS ONE OF MANY FOR JACKIE. WE HAD NO IDEA IT WOULD BE HER LAST. FOR MANY YEARS SHE PUT THE SOLE OF THIS COMMUNITY IN HER WRITINGS. JACKIE WAS A COLUMIST IN OUR LOCAL PAPER AND AUTHORED A NATIONALLY RECOGNIZED BOOK ABOUT OUR COMMUNITY … BUT SHE WAS ALWAYS THE TEACHER. JACKIE WALKED US THROUGH THE PROCESS AND HELP PURSADE OTHERS THIS WAS A GOOD THING. IT WAS MOST FITTING THAT THE FIRST PUBLIC MONITARY DONATION WAS GENERATED BY JACKIE'S STORY IN A LOCAL PAPER ANNOUNCING THE PROJECT. THE UNSOLICITED DONATION CAME FROM A CHILD’S LEARNING CENTER. JACKIE’S FIRST CAREER WAS TEACHING AND SHE NEVER STOPPED. WE ARE GREATFUL FOR THE GUIDANCE, LESSONS LEARNED AND WE MISS HER DEEPLY"
Jackie was a dear friend and an awesome woman. We shared many likes and dislikes, spending many hours on the phone and exchanging emails -- many of which I saved, thankfully. She has left an indelible mark on this community. May we ALWAYS remember her.